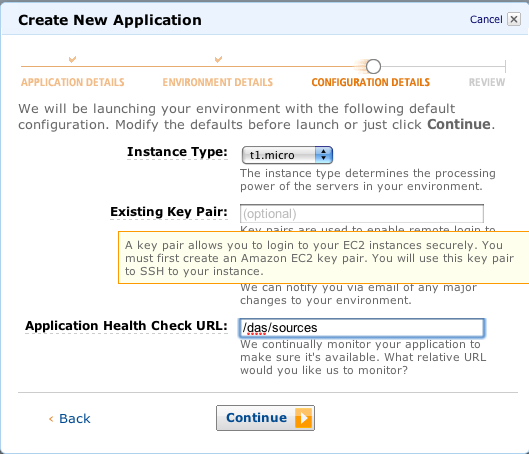 1) Set up an Amazon Web Services Account (AWS) which is as easy as setting up a normal amazon shopping account on the web. 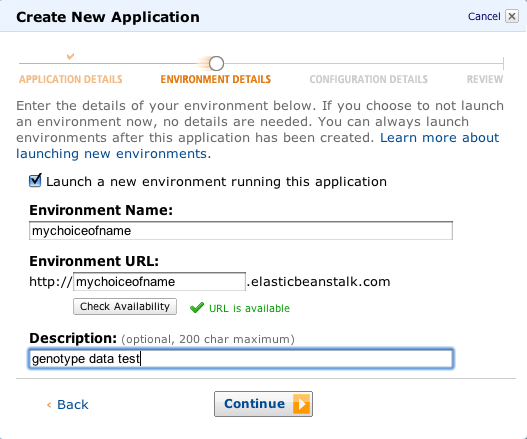 6) Upload to Elastic Beanstalk in the amazon cloud (easy web user interface and just accept defaults). 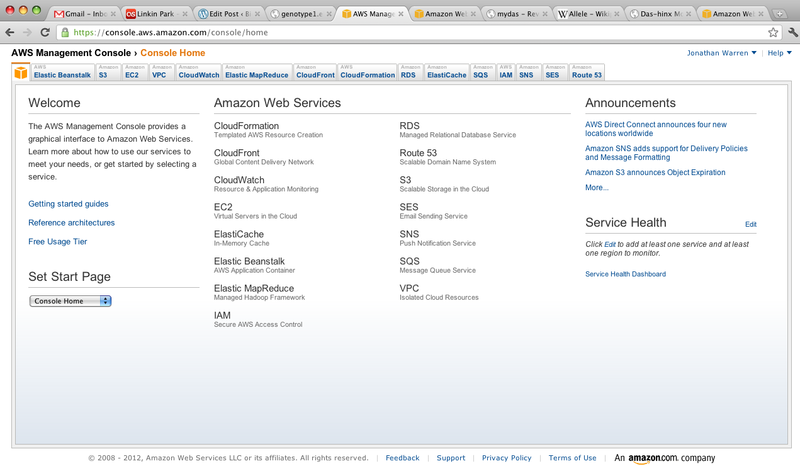 1) Sign up to amazon aws here http://aws.amazon.com/. You will be asked to put in your credit card details, but costs are likely to be minimal ( a guess would be anywhere from no charge to $6 per month in extreme use cases). 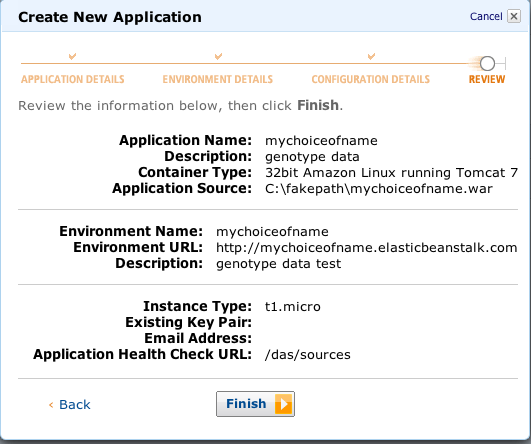 When I signed up amazon gave free usage for elastic beanstalk (the service we want to use) for the first year – this offer may still be available. Even if they were charging me the charges were between 0-11 cents per month. 2) click on this link to download the MyDasTemplate.war file http://mydas.googlecode.com/svn/repository/uk/ac/ebi/mydas/template/MyDasTemplate/1.6.1/MyDasTemplate-1.6.1.war once downloaded you will need to unzip it. For mac I go to the file in finder and right click and select open with and select “stuffit” this application then unpacks the .war file in the directory the original file is in. 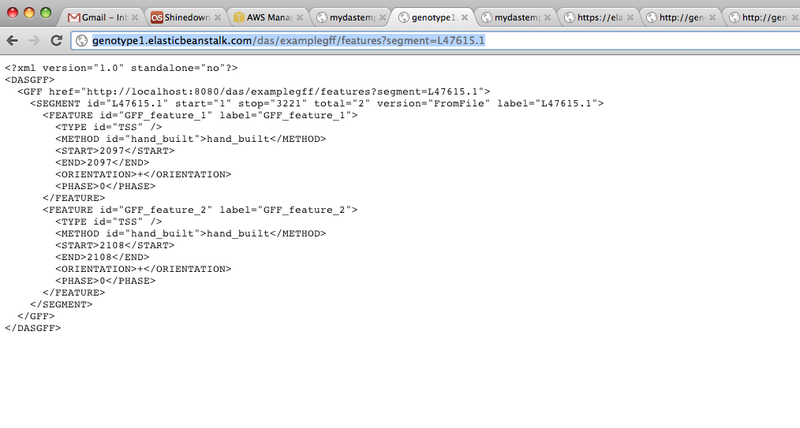 Where the columns are seperated by tabs and the colums represent the snp id, chromosome, position, genotype. 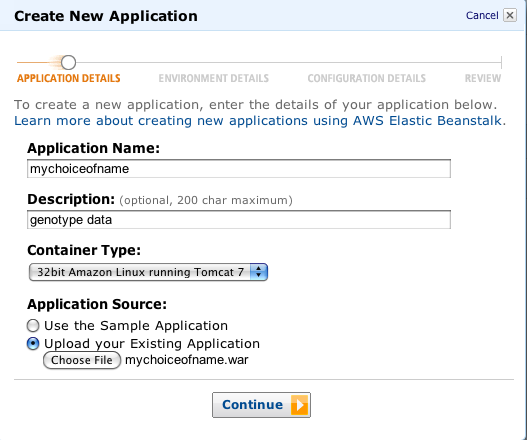 5) repackage the MydasTemplate directory contents into a new .war file named as your substitution for mychoiceofname. wait a few minutes why the virtual machine and application are set up. 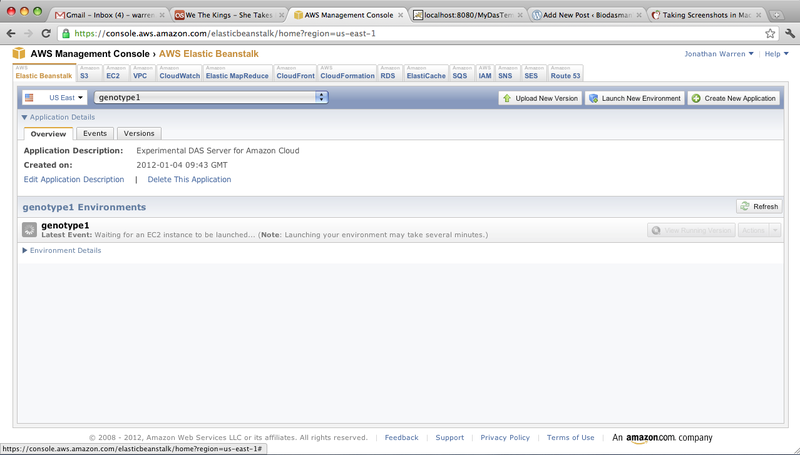 click on "configure this page" at the top left. Choose "custom data" tab then the "attach das" link. click on the tick mark at the right hand corner. To get a commiter version of a project e.g. mydas using eclipse and SVN subclipse go to the svn exploring view and add an https note the S on the end. Check out a project as usual – no password needed to checkout, but when commiting eclipse will then ask for a username and password because of the “s” in https. note for google code login to your normal gmail account at https://code.google.com and go to the settings tab to get your username and password which will be the same for all google code hosted projects you are involved in. alignments, structural and interaction information. below may be of interest to you. Learn of and contribute to current developments in DAS such as: DAS in the cloud, DAS for Genotype Data, DAS searching, DAS for collaborative annotation projects, DAS alternative formats. cater for novice to expert DAS users as each day is optional. Please register early as places will be limited. Registration closes 10 February 2012 – 12:00. If a client has the X-DAS-Version set to DAS/1.6E in the request header the Sanger DAS sources at http://das.sanger.ac.uk/das/sources will respond with 1.6 style XML responses. If no header is set for this or it does not contain the number 6 the DAS 1.53E xml responses will be returned (with the exception of about 10 data sources that are labelled 1.6E with a property in the sources response (). In the future I hope that more genomic DAS clients will move to support DAS 1.6 but in the meantime this is the Sanger solution to backwards compatibility issues which normally will only effect data sources with groups/parent/parts. This way we can also support the clients that do offer support for DAS 1.6.